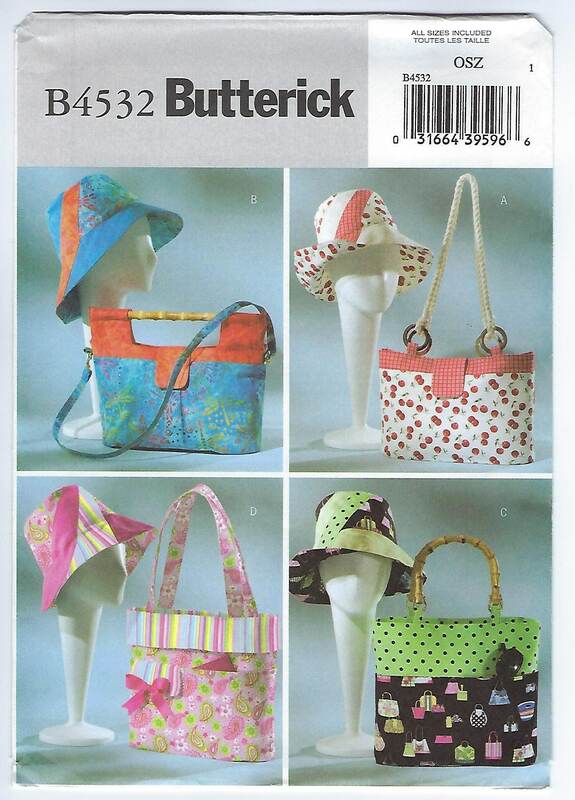 Package includes patterns and instructions to make Handbag and Hat A, B. 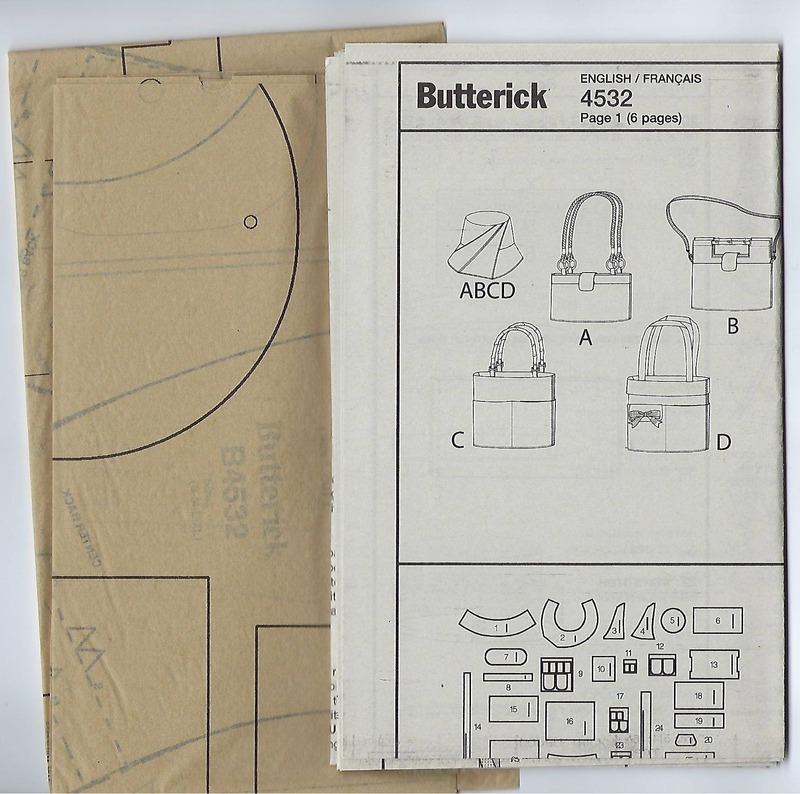 Bag A: 12" x 8"; Bag B: 12" x 12". 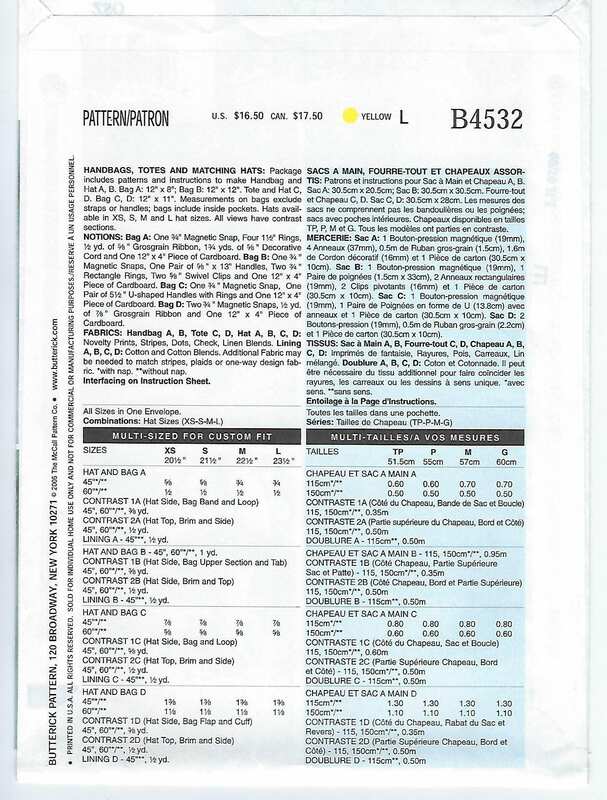 Tote and Hat C, D, Bag C, D: 12" x 11". Measurements on bags exclude straps or handles; bags include inside pockets. Hats available in XS, S, M and L hat sizes. All views have contrast sections.